A few months ago, Elon Musk was sitting in his personal Tesla in Los Angeles on his way to the airport. He typed eight words and one bad-joke number into Twitter and posted the missive to his 22 million followers: "Am considering taking Tesla private at $420. Funding secured." The $420 was a round-up from $419, a 20% premium on Tesla stock price, then about $350. The pot-smoking reference was intended to amuse Grimes, Musk's girlfriend at the time. In Musk's head, he had the funding from the Saudi private wealth fund, based on previous discussions, but he didn't bother informing investors, NASDAQ, or his board before he tweeted. He later outlined a complicated go-private plan that would have brought most major existing shareholders along. The whole scheme later fell apart, and Tesla shares settled back into a $300-ish trading range. Last Thursday, the Securities and Exchange Commission concluded an investigation into the tweet and what happened after Musk sent it. The result was a lawsuit that, in the worst case, would bar Musk from serving as an officer of a public company. 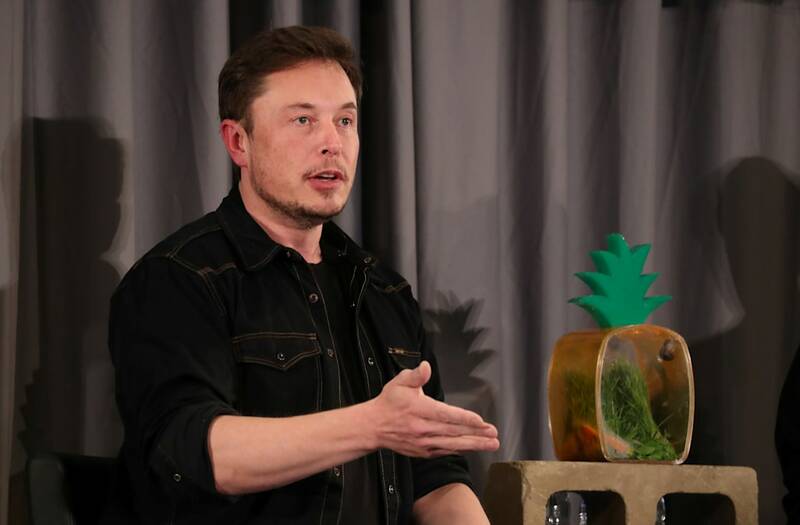 Musk was reportedly offered a settlement with the SEC prior to the lawsuit being issued, but he declined, and the Tesla board reaffirmed its commitment to his leadership. That's understandable, as Musk has presided over the creation of the first new American car company in decades and steered Tesla to a market capitalization larger than Ford or Fiat Chrysler Automobiles. If you bought Tesla after its 2010 IPO, you've made, at times, a 1,000%-plus return. The vast majority of people who own Teslas love their cars. And the company is on track to beat its 2017 total of 100,000 vehicle deliveries by a wide margin in 2018. It's obvious that Musk was winging it with his tweet. It's also probably true that Musk was sick of the waves of negativity about the company emanating from short-sellers; the most prominent of these — Jim Chanos and David Einhorn — have long been on the losing end of their bet but weren't letting up. Chanos was spending a fair amount of time on financial TV promoting his position without actually ever publicly quantifying it and labeling Tesla as insolvent. I've covered Tesla for over a decade, and I can say with certainty that Musk isn't much of a businessperson. He's a spectacular salesperson, but those things aren't the same. He's run Tesla in a way that's baffling to Wall Street because he's reverse-engineered the company from a future in which electric-vehicles have completely replaced gas-powered ones. You either accept that he's a visionary or you don't. I do — while understanding that like most visionaries in the auto industry's history, Musk has major flaws — and have often been confused about why he bothers with Twitter. His Elon Musk-ness doesn't require the platform. Sure, he can reach millions of people with his tweets and shape impressions of Tesla's brand. But he does that anyway. His Twitter habits are unfortunately a consequence of his Silicon Valley-ness. Musk is both of Silicon Valley and very much above it; Tesla and his other company, SpaceX, have such a majestic potential for humanity that they make social media look trivial. And yet, he tweets. I joined Twitter in 2008 and after a short period when I was active on the platform, I've largely avoided it in the past few years because I didn't believe it was helping me to accomplish anything meaningful and because the nature of the discourse had become viciously unpleasant. Nevertheless, Twitter continues to be taken seriously. I know there's worse, in the dark and more malevolent crevices of the internet. But even if you're like me and check Twitter only occasionally to discover if you've made a mistake — as a journalist, I like it when people point out my errors — you realize that Twitter is a sort of scrolling nightmare. Who in their right mind makes investment decisions based on a tweet? So Musk wrote his now infamous "funding secured" tweet, and various financial pundits started to complain about it, my first thought was, "Who in their right mind makes an investment decision on the basis of eight words and goofy number?" Musk obviously wasn't tweeting to make any money for himself, as he never sells any Tesla stock and typically borrows against his existing stake of 20% to add to it. I know that can move the stock up, but Tesla is actually a monumentally risky investment, so as a margin trade anybody except Musk should avoid it. After all, Musk can afford to have to stock lose almost all of its value and still be a billionaire. It had also been clear for a year or so that Musk realized he had created a monster by taking Tesla public in the first place and wished it could return to being private. In the past, he himself has talked down the stock price numerous times and appeared to be wearying of going back to Wall Street time and time again to sell more shares to raise more funds, even though investors were happy to buy. Remember that Musk actively discouraged outside investment in Tesla in its earliest days because he thought the risk of a complete loss was too great. Also, remember that Tesla went public at $17 and raised only just over $250 million in 2010. It was the markets and the cash-soaked dynamics of the Federal-Reserve engineered recovery from the financial crisis that created the yield-craving hot money that sloshed into Tesla's stock after 2012. In fact, I've always thought that Musk sensed this could be a problem all the way back in 2013, when Musk courted Google's Larry Page with a buyout offer that would have prevented a then-immature, cash-poor, and struggling Tesla from ending up years later in a supplicant position to Wall Street. Enter the SEC charges, which are a combination of the agency being irked that Musk didn't settle — spare the rod, spoil the entrepreneur — and a case built largely on a single tweet. If you know Musk, you know that he thought he could both get the money, even if it added up to multiple billions, and sell the exotic aspects of his go-private plan. Musk always gets the money and always sells the plan. That's simply the way it's gone for 15 years. There's no shortage of commenters who consider Musk a con-man and a serial dissembler. He always overpromises and underdelivers. Of course, he always eventually delivers. None of this would matter much if Tesla's market cap weren't so outsized. The company, after all, is in the context of a global auto industry a completely minor player. It sold 100,000 vehicles last, year, its best year ever. General Motors sold 10 million. Tesla has never posted an annual profit. GM has made over $70 billion since its 2010 IPO and return from bankruptcy. Tesla could vanish tomorrow and it would literally make almost no difference to the world's transportation economy. Electric vehicles have almost no market share in the US, much less the rest of the globe. True, the company is a big employer in the East Bay area of Northern California, but it's also well off the grid of the auto manufacturing centers in the Upper Midwest and the South. You have to, therefore, wonder why the SEC is even bothering. Tesla's big institutional investors, along with Musk himself, own most of the company and are supposed to be capable of assessing complex risk. Short-sellers may have been briefly hurt by the short run-up Tesla stock experienced after Musk's tweet, but they were already in pain. And in any event, it's hard to discern what honest market function they serve with Tesla when the company's fundamentals are so obviously out of whack compared to its financial value. No thinking person looks at Ford and then at Tesla and takes seriously the market's verdict. Ford's stock represents a 119-year-old businesses with all that entails, while Tesla's is an opportunity to bet on the future, with all that entails. So why is the SEC bothering, apart from the "Wolf of Wall Street" level annoyance that Musk didn't take the deal and express dutiful contrition? The SEC intends to punish Musk, in one way or another, even if it loses the case, as it might. And it intends to punish Musk for a tweet. Think about that. The upshot is that Musk sits alone in his mansion bought with high-risk borrowed money that he knows he could lose in a matter of months as he has nearly lost it all before and says to himself, "I wish I had never tweeted 'funding secured' while I was sitting in my car on my way to my giant battery factory in Nevada, trying to fulfill the largest number of pre-orders for an automobile in the history of the world and simultaneously undertaking a space mission to Mars, drill tunnels underneath the congested streets of big cities, and avoid an artificial intelligence apocalypse." The SEC wants Musk to understand and admit that he did a bad, bad thing. And it's willing to wrap a moral crusade in the banner of defending investors who already know better and have accepted that risk, or to preserve the alleged honesty of a securities market that has been grotesquely contorted by a flood of government money following the financial crisis. It isn't unthinkable that Musk could be deposed as Tesla's CEO. As I've already explained, that wouldn't be such a big deal. Tesla might not even collapse as an investment. And even if it did, taking $50 billion in mostly speculative value out of a $20-trillion US economy is irrelevant. The existing auto industry is doing a more than adequate job of satisfying demand. But the whole thing is just comically small potatoes. The only reason for the SEC to go after Musk is to send a moralistic message, as if markets and business are governed by moral principles, which as any student of them understands they aren't. I'm old enough to know that businesspeople and market participants lie, cheat, and steal all the time — and I don't want to see businesses and market go away. This bargain is a problem for society when the fraud is vast and systemic, as it was in the run-up to the financial crisis. I don't want to excuse it on a smaller scale or suggest that markets and business are irredeemably corrupt; at Business Insider, we support the idea of "Better Capitalism," and I can cite many examples of that idea in practice, one of which is, in my opinion, Elon Musk! Nobody in his right mind starts a car company unless he wants to show the world a better way to do something. For almost the whole time I've been covering Tesla, I've dealt with the fact that a lot of people just can't stand Musk. For many reasons, ranging from his lifestyle to his near-miraculous ability to keep Tesla going to his frequent and oft-admitted reliance on government funding. His humiliation is something they fantasize about on a daily basis, going far past those critics who are content to more logically predict Tesla's failure due to lousy execution or too much debt or whatever apparent basic fault dwells in the enterprise. Musk, believe it or not, isn't cunning enough to fight this level of hatred when it's professionalized. If he were, he wouldn't tweet anything. His biggest foe is his own guileless dorkiness. His second-biggest foe is his desire to call many of his own shots, and that could be more harmful if reports that the SEC initially wanted to fine Musk and shake up Tesla's board to include more independent directors turn out to be legit (that also raises an important question about why only Musk wound up being named in the subsequent lawsuit). It's tempting to see Musk as a stumbling, heroic figure in a classical drama, especially given his own penchant for admitting to hubris, or tragic overconfidence, which in literature prefigured a downfall. But that's a bridge too far here. Musk fired off a dumb tweet. He couldn't ultimately get the money secured that he said he's secured. End of story, and if any investors got hurt, well ... they need to grow up. The SEC is overcooking this one. But here's the thing: Tesla is Elon Musk. And it isn't a pre-IPO startup that could be looking to fleece its funders on some outlandish ambitions. The business model is straightforward: build cars, sell, cars, repeat. That business model just happens to be preposterously hard, given the extremely competitive and cash-hungry auto industry. So if you penalize Musk for what will wind up being a footnote if Tesla survives, you've threatened with destruction a maturing new automaker that in fact has established a real market for its products, not some outrageous medical scam like Theranos. And make no mistake, Tesla won't be Tesla without Musk at the helm.